Who Are We? | Walk with us! The Priests of the Sacred Heart (SCJs) is a Catholic religious community of brothers and priests. In some parts of the world we are known as “Dehonians” in reference to our founder, Fr. Leo John Dehon. A brief description of who we are and what we do follows below. However, we encourage you to visit our website for vocational information, frequent news updates, prayers and features. 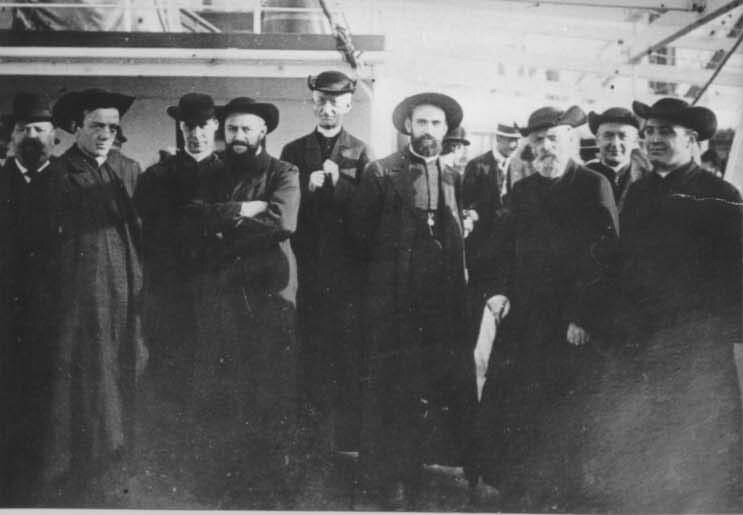 The Priests of the Sacred Heart (SCJs) was founded in 1878 by Fr. Leo John Dehon in St. Quentin, France, a city ravaged by the industrial revolution. In addition to running parishes, preaching missions and teaching, SCJs reached out to society’s forgotten corners. For example, they began a ministry to the deaf when there was little sensitivity to the needs of people with physical handicaps, and they served as chaplains in a French textile factory, introducing Christian values into the dealings of labor and management. Fr. Dehon himself was a social activist, making church leaders aware of working class hardships and helping workers organize to combat unjust conditions. This innovative approach to pastoral ministry attracted members to the new religious community. In the first 10 years there were 60 professed members; after 20 years, there were 130; and on the 50th anniversary of its founding, the Congregation of the Priests of the Sacred Heart had almost a thousand members. Yet the congregation faced hurdles. At the beginning of the 20th century, an anti-Catholic government came to power in France, confiscating church goods, closing Catholic schools and expelling religious congregations. World War I brought economic hardship, the destruction of property and even death. The congregation's first missionaries prepare for departure. The single most devastating loss of life, however, occurred in 1964 in the former Belgian colony of the Congo, when 29 members of the congregation, including a bishop, were murdered during a bloody rebellion (the Congo has gone through several upheavals since then, first as Zaire, and now as the Democratic Republic of Congo). Today the congregation numbers about 2,200 members on five continents and in 40 countries. It is headquartered in Rome, and Fr. José Ornelas Carvalho, SCJ, is its general superior. The diversity and innovation which marked the early years of the Priests of the Sacred Heart continue in ministry today. Father Dehon’s dream was to bring the love of Christ to the people and places society neglects, the people and places in greatest need of His healing touch and compassionate care. Today that ideal unites our members in the great diversity of their works. In Jakarta, the capital of Indonesia, “Blue Angel” has been launched to care for the increasing number of young people addicted to drugs. In Brazil, Fr. José de Oliveira, SCJ (better known by his stage name, “Padre Zezinho”), is one of the most prolific composers of popular church music; his concerts and rallies attract thousands of young people. In the Philippines, an SCJ priest has set up a group home for girls who were sexually abused by family members. We work in some of the world’s most challenging areas. An SCJ missionary on the Philippine island of Mindanao was kidnapped in 2000 and held hostage by rebel forces for almost six months. In the Congo, many relief organizations have fled the country, but the Priests of the Sacred Heart remain to help the people through war, famine and social unrest. Ministry in the United States began in 1923 in a small mission on the Lower Brule Indian Reservation in South Dakota. Our work now extends from South Dakota to Wisconsin, Mississippi, Illinois, Florida and Texas, reaching across ethnic, social, and economic barriers. 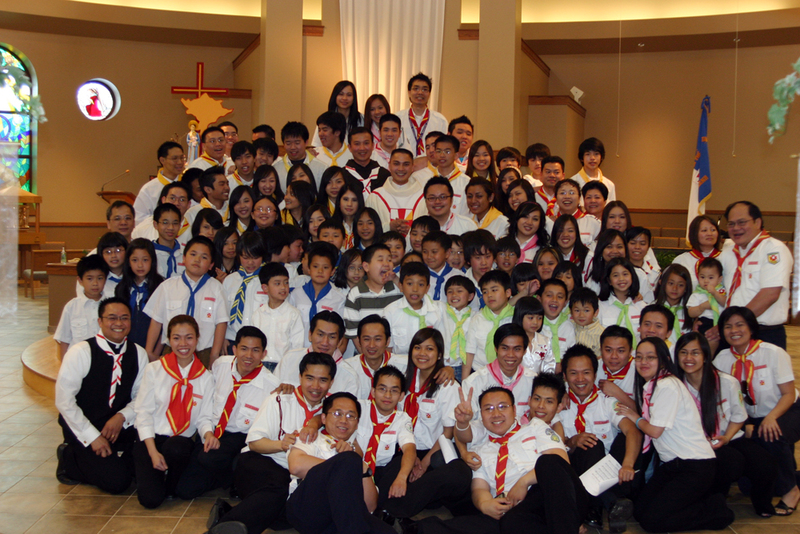 Vietnamese youth gather at St. Martin of Tours, Franklin, Wis. The Vietnamese Catholic community in the Archdiocese of Milwaukee is ministered to by the Priests of the Sacred Heart. In the diocese of Brownsville, Texas, the province ministers to the many Mexican-American Catholics who make up much of the population of Willacy County. In Houston, the Priests of the Sacred Heart are in the central city parish of Our Lady of Guadalupe, one of the oldest Hispanic parishes in the state. In Mississippi, the Priests of the Sacred Heart are responsible for the Church’s ministry in the nine northern counties of the state. The province also operates Sacred Heart Southern Missions. Housing, job training, elder care, education and even small business start-up assistance are just a few of SHSM’s ministries. The Sacred Heart Auto League, which promotes safe, prayerful driving, is also a part of SHSM’s ministry. Sacred Heart School of Theology in Hales Corners, WI – a seminary preparing men sponsored by various dioceses for the priesthood. St. Joseph’s Indian School in Chamberlain, South Dakota – an elementary school for Native American children. Sacred Heart League in Walls – parent organization of Sacred Heart Auto League and the Apostolate of the Printed Word. The Provincial Development Office in Hales Corners, Wisconsin. Sacred Heart Southern Missions in Walls, MS – providing parish, educational, social and housing services in northern Mississippi. Some of our members teach or work as chaplains. Others are involved in social justice programs. Some have practiced law, others provide counseling and psychological assistance. Our formation house is in Chicago’s Hyde Park. Undergraduates attend a variety of universities, depending on their needs, and those in theology attend Catholic Theological Union. Chicago is also home to our novitiate program. For more information about the Priests of the Sacred Heart, including up-to-the-minute news items and feature stories, click HERE to go to our website. I pray that your congregation will prosper and spread the “New Evangelization!